Christmas at Concordia: Journey to Bethlehem premiered December 2010. The Concordia College choirs and orchestra perform a reimagined musical Christmas concert. Nationally-recognized composer and conductor René Clausen of Concordia College in Moorhead, Minnesota re-imagines Christmas, taking viewers of all faiths and traditions on a musical journey. 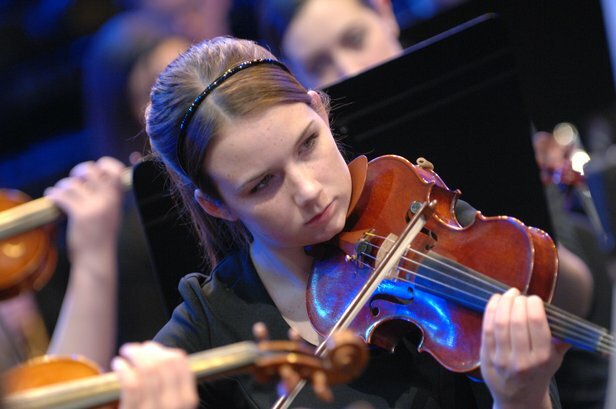 The college's annual concert combines the pageantry of opera, the grandeur of choral orchestral masterworks, and the intimacy of delicate solos. Christmas at Concordia was produced for national broadcast by Twin Cities Public Television (tpt). Widely known for its artistic television productions of college Christmas celebrations for over twenty-five years, tpt offers this seasonal special in striking HD and 5.1 Surround Sound. René Clausen combines sonorous and celebratory themes to create an aural tapestry. Taped on multiple stages and featuring both large and small ensembles, the diverse selections include sacred seasonal favorites such as "Oh Holy Night" and "Do You Hear What I Hear," traditional American folk hymns like "I Wonder as I Wander," and original compositions by René Clausen, including "There Is No Rose of Such Virtue." Christmas at Concordia is also visually striking, featuring a magnificent art installation measuring 24' high by 176' wide that transforms the 2800-seat hall. These mural panels serve as a backdrop for the 450 musicians, creating a fresh yet traditional setting for this stunning performance. René Clausen is one of America's leading choral orchestral composers, having written over 100 commissioned works for the Kings Singers, Mormon Tabernacle Choir and the National American Choral Directors Association Convention. "René is an innovator. He continues to deliver intriguing concepts in choral orchestral music," said Robert Chabora, Chair of the Music Department. "His significant compositional work with our talented student musicians in the Concordia Christmas concert is no exception." Located in Moorhead, Minn., Concordia is a private four-year liberal arts college of the Evangelical Lutheran Church in America — featuring challenging academics, dedicated professors, a diverse student body, Lutheran tradition and a strong sense of community. More than 2,800 students from 39 states and 37 countries representing 52 religions and denominations attend Concordia. With 78 majors and 12 preprofessional programs to choose from, one-on-one research opportunities with faculty and a nationally recognized study abroad program, Concordia is committed to preparing students to make a meaningful impact in our global society. To learn more, visit http://www.ConcordiaCollege.edu/. The mission of Twin Cities Public Television is "Enrich lives and strengthen our community through the power of media." 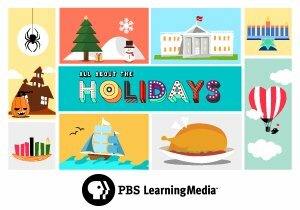 A not-for-profit educational, civic, and cultural resource, tpt presents original television productions for national and state broadcast. Productions include the SciGirls science series for kids; the Peabody Award-winning Depression: Out of the Shadows; the popular public affairs program Almanac, and the innovative Minnesota Channel, which magnifies the impact of Minnesota's finest public service organizations using the power of television. In addition, tpt has been giving the gift of highly produced Christmas music specials for over 25 years: Christmas at St. Olaf (1979-2007), Bethel Augsburg College Vespers Celebration (2004), University Festival of Christmas (2006), Christmas at Luther (2008) and A St. Thomas Christmas (2008). One of the most watched PBS affiliates in the nation, tpt is based in St. Paul and operates channels tpt 2, tpt LIFE, tpt MN, and tpt WX. The organization is also developing and distributing online content via http://www.tpt.org/ and http://www.mnvideovault.org/, as well as through YouTube, Yahoo! and other online distribution channels. © 2010 Twin Cities Public Television & Concordia College. All Rights Reserved. Text and photos courtesy of Concordia College's Office of Communications and Marketing. Own this DVD + CD to enjoy the Concordia College musical Christmas concert.